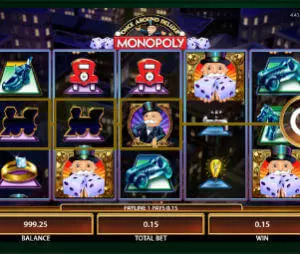 Playing real money slots online or in brick and mortar casinos, is all about the excitement and thrill of hitting the jackpot, getting rich, very rich and no other slot can bring it to the level of Progressive slots. If you’ve been playing slots online or offline, then probably there is no need for an explanation. You have been there. Watching the jackpot rising with each round. Felt the rush of adrenaline. That is what progressive slot machines are all about. The one in a million chance to hit a jackpot that will change your life. Despite all that said, you should take under consideration that the overall return of progressive slot machines is lower than on regular slots. They are indeed fun, but we still recommended not to spend all your time on them and to mix them with regular slots. Progressive slots or progressive jackpot slots, are basically a regular slot machines, but with a twist. From every bet that you or someone else make on this slot (or even a chain of slots), a small part of the bet is added to the progressive jackpot, which makes it grow to astonishing numbers until someone hits it big. When we say big, we mean even millions! 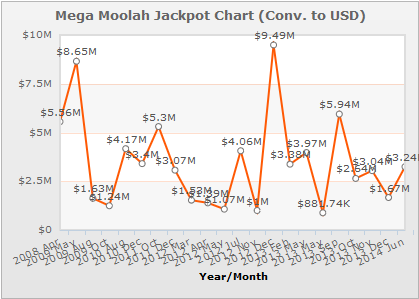 The jackpot amount is usually shown at the top of the slot machine and you can see it rise with every bet. In most cases in order to win the progressive jackpot you need to hit the highest payoff combination. There are some progressive slots where the progressive jackpot is random, meaning not connected to the actual symbols on the reels. The downside of progressive slots is that due to the fact that small part of your bet goes to the progressive jackpot, the regular payout percentage is lower than at the non-progressive slots. Stand Alone Progressive Slot is a slot which is not connected to any other slots. This type of progressive slot is a bit less common. You can say that it stands in between the regular slots and truly progressive slots. Since it’s not linked to other slot machines, the jackpot is usually lower. On the other hand, the chances of hitting the jackpot are higher then in other types of progressive slots. This is a group of slots in a single casino which share the same progressive jackpot. Small amount of each bet made on any of these slots is added to the total jackpot. The jackpots on these slots are usually not life changing, but still very substantial. This type of progressive Slots is not common in online casinos. When you hear about someone winning 15 millions from one spin – it comes from this type of progressive slots. Wide area progressives are a group of slot machines which are linked together from many different casinos. For example MegaBucks slot, which is available in many different casinos in many states, but all of them connected to one chain. 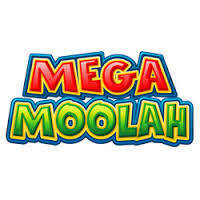 A good example from online world is the Mega Moolah, which is shared by most Microgaming casinos and currently offers a $3,317,163 progressive jackpot. In most cases these slots are operated by a third party and not by a singular casino. Progressive slot machines can certainly be tricky, since obviously, the chances of hitting the jackpot of wide area progressive slots are astronomical. Similar to the number of $/€ that they offer the lucky winner. It doesn’t mean that you can’t dream about hitting the jackpot, it is possible and happened many times, but the chances are low. You can also play stand alone progressive slots which offer lower jackpots, but higher winning odds. There are actually only 2 things you should notice while playing progressive slot machines. On some slots, the progressive jackpot is activated only while betting on all lines with maximum coins per line. It’s the single most important thing to check before you start. It’s recommended to choose slots when their progressive jackpot is on the high end of the scale. It doesn’t mean that the chances of winning are getting higher with time – they are not. But, it means that if you do win, the reward is bigger. All in all, progressive slots are great, as it is thrilling to see the 6 or even 7 digit prize grow and realize that it could actually become yours, but the odds of actually winning are slim. Thus, the rule is not to bet too big on progressive slots, have fun and take your chances, because you will more likely be giving someone else – the house – your pocket money than actually winning any big funds of your own. You are 100% correct, however that’s exactly what we said here. The odds of winnings progressive slots are astronomical. That’s exactly why we recommend not to spend all your balance on progressive ones, since the return on these slots is generally lower then on Non-progressive slot machines.